Our product range includes a wide range of guard protective film, protection film, floor protection film, carpet protection film and surface protection film. We provide premium quality Guard Protective Film to clients in specifications of various lengths and thickness. This film is easily accessible to clients at budget-friendly prices. With the assistance of our hardworking team, we are involved in offering a vast range of Protection Film. The offered Protection Film is broadly appreciated for its premium quality. 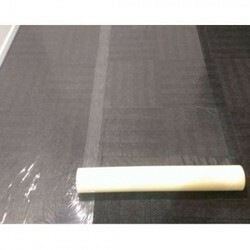 This Protection Film is checked by our quality controllers on well defined parameters for assuring its quality. 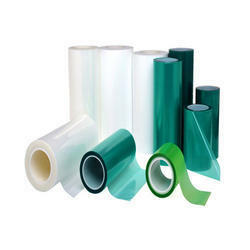 Moreover, we offer our protective film in customized options at reasonable rates. The Floor Protection Film offered by us is easily available to clients at highly economical market prices. This film keeps dust and moisture at bay and is used for the protection of a surface. 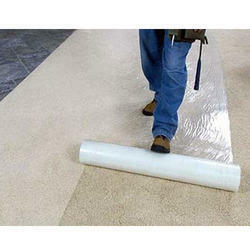 Carpet Protection Film that keeps floors clean and damages free while building, remodeling or painting. This self-adhering film does not shift and is highly resistant to tears. Additional Detail: OurCarpet Protection Film is perfect for reducing your snagging list at the end of a building, painting or DIY project. 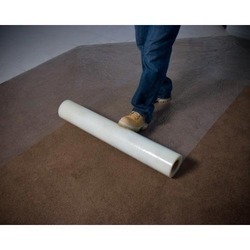 It is a high-quality self-adhesive film specifically designed for covering carpets.Our Carpet Protection Film is particularly popular for decorating and protecting against other wet trades as it prevents damage to carpets from spillages and other debris, whilst it is equally adept at dealing with heavy foot traffic. The adhesive backing ensures this carpet protection film is safer in use than traditional dust sheets, reducing the risk of trip hazards. Different environment and different surfaces need a different and suitable Surface Protection Film which simply serves the purpose that is protecting the surface that is in question. The surface protection film is generally used for preventing the scratches of the surface or safeguarding it from dust particles and similar particles in the air. It also provides protection from damage, transportation, and moisture. This Film is basically a protective film against high abrasion and resistant to wear and tear of daily use. We at Tilak Polypack Pvt. 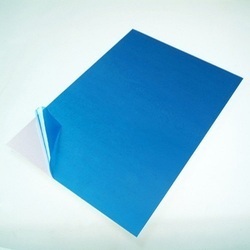 Ltd., make Surface Protection Films to provide temporary protection to any kind of surface. We ensure the adhesive is selected in such a way to ensure zero adhesive transfer. Based on the substrate, we can provide Surface Protection Films in a variety of Base Films, and adhesive strengths, suitable for external or internal use. We can provide guidance in selecting the right type of product. Please get in touch with our Sales Department and we will be more than happy to help you in your Surface Protection Film selection.